Hey all, new to the forum here. 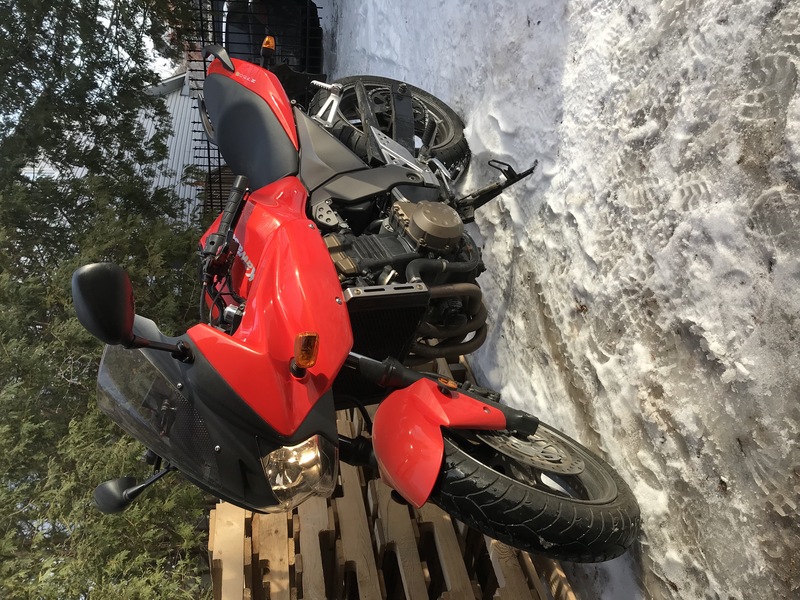 Im from Whitby, Ontario and I just picked up a 2005 z750s and I'm looking forward to getting to ride it once the weather warms up and the snow melts. I'm looking at changing up all the turn signals and rear light on the bike as they are still the stock ones, plus some of the wiring is a mess so I'd like to clean that up. I know the tail end of the bike is shared with the 05 zx6r so I'm assuming that if I order a taillight that would fit the zx6r it should also fit my bike...correct? My other question is regarding the front turn signals. I discovered these turn signals that look pretty good and super bright (which I like). I've dealt with the cheap ebay kind before on my previous bike and I'd simply like something that people can see during the day and be super bright at night. The website of the company does not have lights listed for my bike but there are lights for a 2004 zx6r. After briefly looking at some google images of the 04 zx6r it looks like the front turn signals are the same so I'm assuming I'd be able to make these work. Any input on this? Also, side note but are the stock turn signals supposed to also operate as daytime running lights? I suspect one of the previous owners dropped my bike and replaced the turn signals with stock ones and did a horrible job at wiring them together. Also a switch to led signal lights, if that's what you're doing requires a flasher change, leds draw less power so the bike thinks you have a burnt out bulb and the flasher doubles the flash rate (the stock flasher kind of tells you that you have a burnt bulb from the seat by looking at the dash arrows they'll speed up too, you'll lose this function so you should check your lights more often, I do a circle check myself before every ride due to this but it's a good idea to check stuff like this anyway). I don't remember the exact flasher I bought for my leds but with the one I have it's possible to use a integrated tail/signal light setup as well as keep led turn signals so you have both, still haven't gotten around to the integrated part myself but I will someday. Awesome thanks for the replies! If the front blinkers aren't wired to be day time running lights would there be any way to hook up the leds if they have the third wire for day time running lights or I am better off with just leaving it? Has anyone converted the front turn signals to running lights/turn signals?